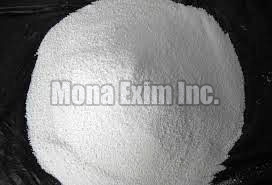 We are offering Soda Ash that is one of the most important basic industrial chemicals for manufacturing other Alkali. It is used in soaps & detergent, glass industries, paper & pulp industries and sodium silicate industries, water softening chemicals and textile & dyes industries. Our Soda Ash is completely free from impurities and is appreciated for its exceptional efficacy. We hygienically pack Soda Ash in the best grade packaging material to preserve its chemical and physical properties for long.